A 30% Deposit is payable within 3 days to book holiday. Non Refundable if cancelled. Balance payable 6 weeks prior to holiday start date. Payment is by bank transfer. Sorry no credit cards or cheques accepted. A £100 damages deposit is also due with the full amount. 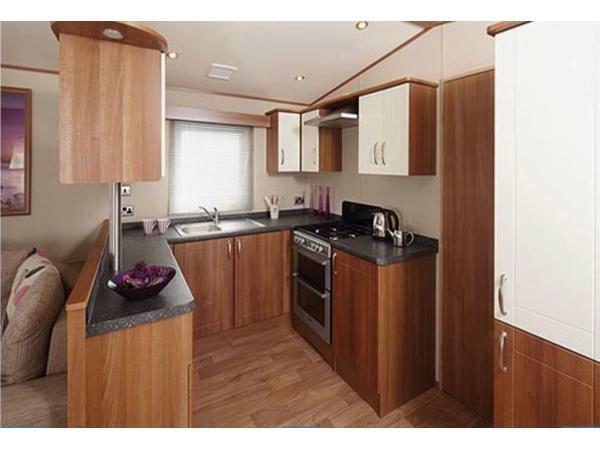 This will be returned the day after your departure subject to no damages and the caravan is left in a clean condition. When enquiring please state how many the booking is for and the ages of any children. 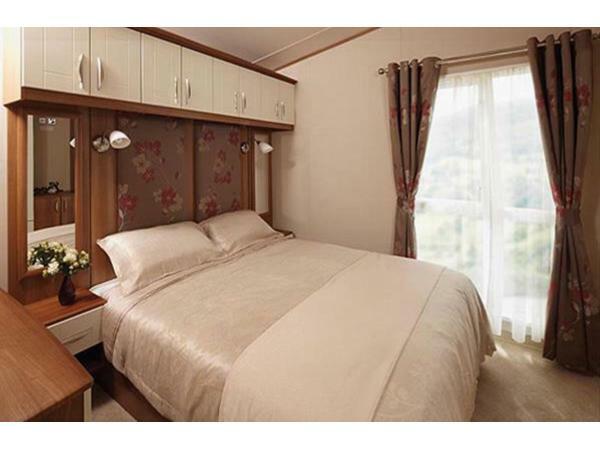 Our luxury St David caravan really does have the wow factor. It is set on the newest development on the park. 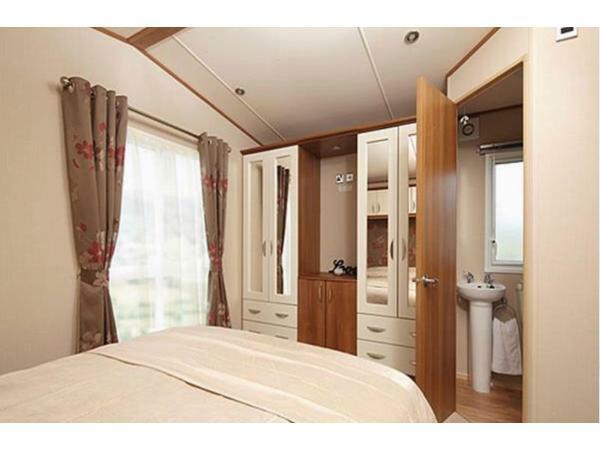 It has full gas radiator central heating and double glazing. Its everything you would expect from a modern top quality chic apartment but in a spacious holiday home. The warm and welcoming lounge is very generous in space and boasts Rich French Walnut furniture. Large patio doors open onto the lovely sunny decking, which wraps around to the side door. There is an inset electric fire with flame effect for added warmth on those cooler summer nights when central heating is not required. A 32" tv with freeview. Dvd player with a selection of dvd's. Ample seating with plump cushions. There is a pull out double bed too. Plenty of windows making it feel light and airy just like home from home. 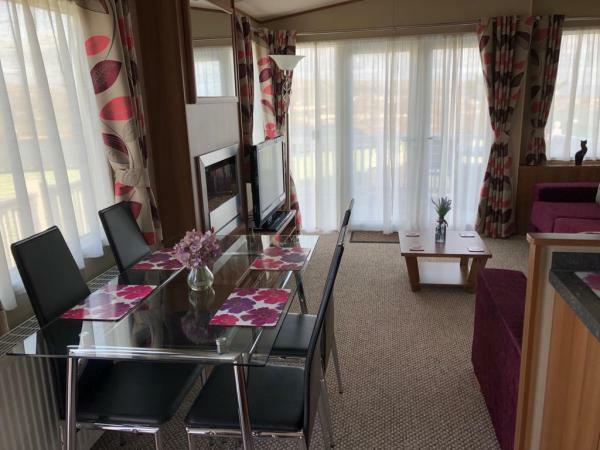 The spacious main bedroom has full length window, King size bed, dressing table, bedside cabints,reading lamps overhead cupboards, plenty of wardrobe space. Tv with freeview and en-suite. Radiator. Bedroom 2 has a large wardrobe, overhead cupboards, reading lamp and twin beds. Radiator. Bathroom has spacious walk in shower, sink and toilet. Radiator. Outside has spectacular views. There is parking directly outside the caravan. Bed linen is provided all beds made up for your arrival. We want it to feel like home from home so try to provide those little extras. All you need to bring is your towels and tea towels. We are confident you will be more than happy with your stay. CHECK PRICES AND AVAILABILITY ON THE WEBPAGE AS THIS IS ALWAYS KEPT UP TO DATE. 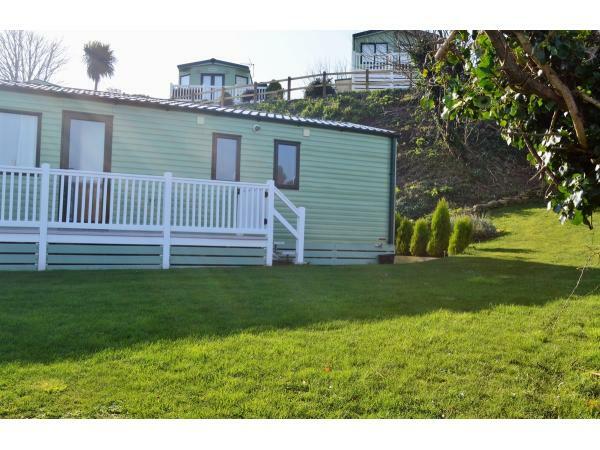 It is the ideal location to explore the beautiful Jurassic coastline, with coastal walks a short distance away. A ten minute walk into the town and seafront. Swanage boasts the blue flag award for its excellent beach and water quality. Wow where do i start.... 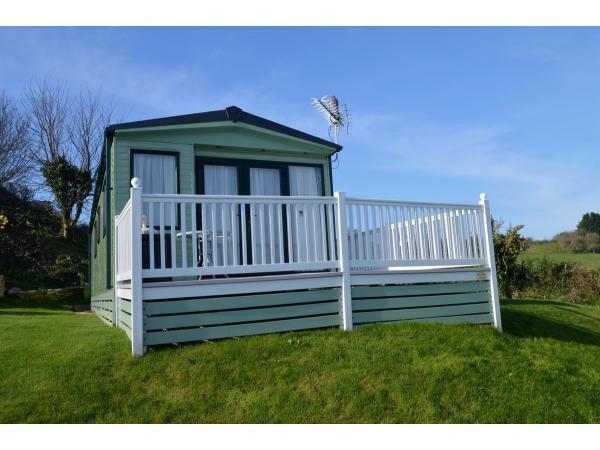 I dont normally leave reviews but i felt i needed to this time, this caravan and holiday was outstanding. The views of the Purbecks are spectacular. Being next to open farmland its extremely quiet and private, also has a large garden to the side. The caravan itself was immaculate when we arrived. Bottle of milk in the fridge for us plus tea coffee and sugar, which is a very nice touch and was welcomed by my wife and i after our long journey . The owners have truly thought of everything. A big thank you to you both. We have already booked again!! 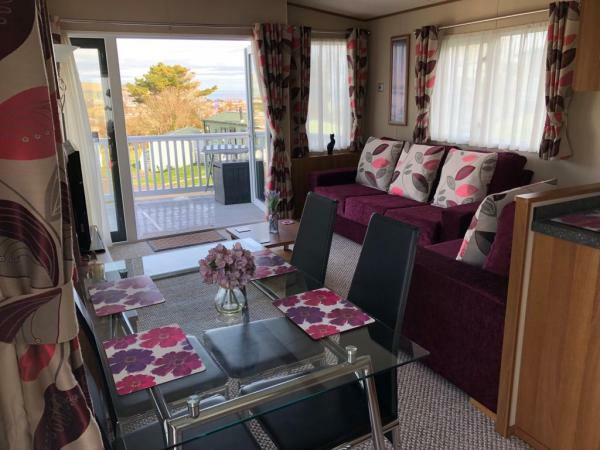 We stayed in this beautiful caravan from 2nd June - 9th June 2018 - I can honestly say this is the best caravan we’ve ever stayed in. 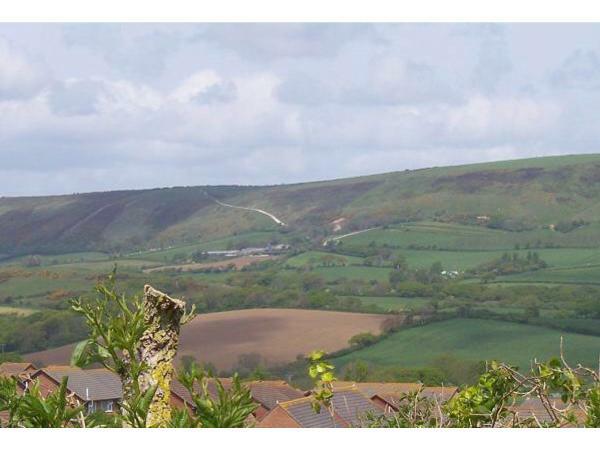 The views are exceptional of Purbeck hills. 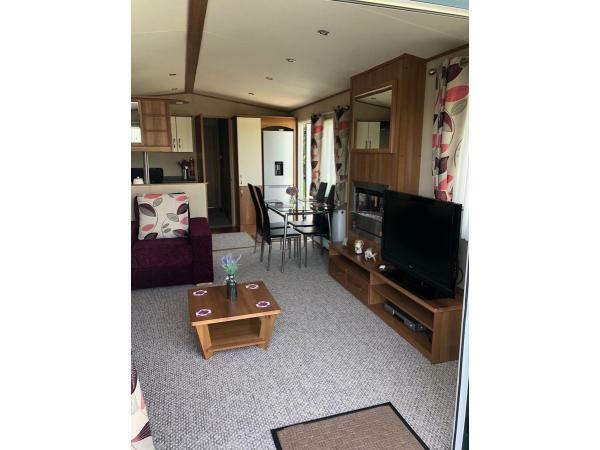 The caravan was spotless when we arrived, everyone was really friendly and the owners were just a phone call away if needed. I would highly recommend staying here. We will deffinetly be booking again. James.